Browse popular golf courses and schools in and around Boerne. Find Boerne schools and other information about the educational environment in Boerne. View ratings on Boerne schools and get the academic performance for each school in Boerne. 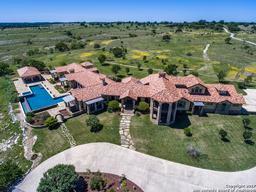 Search thousands of Boerne real estate listings, Boerne Homes, Boerne homes for sale, Boerne homes for rent on HAR.com. From property descriptions and photos, to Boerne home values, Boerne schools and Boerne neighborhoods, Boerne condos, Boerne apartments, Boerne real estate agents, Boerne real estate firms you have access to the most information you need to make a better decision about Boerne real estate. HAR.com has the most accurate Boerne real estate listings information that offer detailed property information that could help you find the home of your dreams. What do you think of this city? Boerne is part of the San Antonio–New Braunfels Metropolitan Statistical Area. 789 Homes for sale and rent in Boerne. 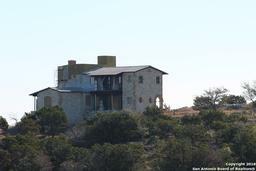 Search Boerne Real Estate and find real estate listings for sale and real estate for rent on HAR.com. View recently listed homes for sale and Boerne homes for rent, trending real estate in Boerne, recently sold homes in Boerne, home values in Boerne, schools in Boerne and neighborhoods. You can also narrow your search to find condos in Boerne, apartments in Boerne and more. Just click on the link to find real estate agents in Boerne, real estate firms in Boerne so you have access to the most information you need to make a better decision of buying and selling your home in Boerne. The number of active real estate listings in the Boerne for Sale is 754. The average list price for a home in Boerne is $705,505. The number of active real estate listings in the Boerne for Rent is 35. A home in the Boerne has a median square footage of 3,333.